Everyone loves a good zoo trip, and these top five blow the competition out of the water. These zoos showed ingenuity and creativity with the exhibit and park design, the top animal care practices and conservation programs, and were all around favorites of visitors throughout the year. So as the year comes to a close, let's look back and see which zoological parks made the top cut. You might not have been expecting it but this Ohio based zoo won the top spot on the viewer-voted 10Best Readers' Choice Awards as well as USA Today's number one. The park has an impressive number of animals, 9,000 representing over 800 species to be exact, and the way in which they are presented to the public is simply astounding. Not only was the Toledo Zoo the first in the world to display the Kihansi spray toad, but it was also the very first to create and market a Hippoquarium, where visitors can see the hippos above and below the water. Being a fairly small zoo with only 51 acres, Toledo uses it well and has a number of exciting exhibits showcasing their animal families. The main exhibit is Africa! coming in at 12 acres and designed to resemble the savanna with artificial termite mounds and plains for the roaming animals to live happily. Tembo Trail is where you can encounter the Hippoquarium, possibly one of the most exciting and sought after areas of the park, aside from the award-winning children's zoo, Nature's Neighborhood. Who doesn't love a free zoo? And better yet, this 90-acre animal park is a leader among conservationists with world-renowned animal care programs and research. Not to mention, their park is absolutely stunning. If you get there in the first hour of opening, the admission-charging attractions such as the Children's Zoo and the Caribbean Cove are free, and you can pet stingrays, bonnethead sharks, bamboo sharks, and Cownose Rays to your heart's content. 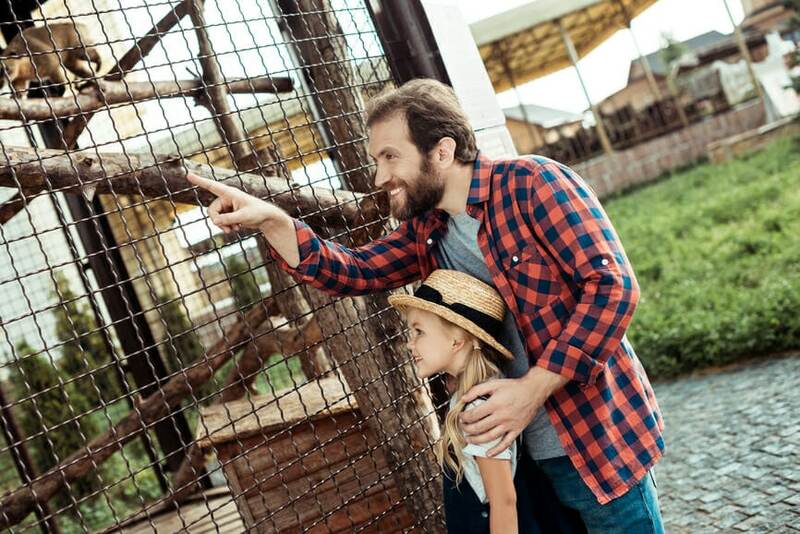 Discovery Corner, the children's zoo, is a fabulous place for young explorers to pet goats and small farm animals and also tour a variety of invertebrates and insects at the Monsanto Insectarium. Take a leisurely stroll along the water's edge and visit animals from four continents. The River's Edge exhibits showcase everything from wild African dogs and black rhinos to bush dogs, capybaras, and anteaters from South America as well as Asian elephants and North American creatures such as American bullfrogs, catfish, and others. What you're really not going to want to miss, though, is the Red Rocks exhibit, a wonderful exhibit featuring your favorite big cats. Look down from your hill-top viewing point and see the Amur leopards and tigers sunning themselves or swimming in their pools, hear the lions roar and see the jaguar slink between shadows. With Jack Hanna as their director emeritus, you'd expect the Columbus Zoo to be amazing - and it is! Home to over 7,000 animals over 800 species worldwide, the Columbus Zoo represents eight major regions of the world including North America, Polar Frontier, Asia Quest, Congo Expedition, and others. What's even more fun about viewing these exhibit regions is the varying modes of transportation available. You can ride the tram through North America and into the Polar Frontier and even ride a boat around the Islands of Southeast Asia region. Animals represented at the Columbus Zoo range from the ever popular polar bears and Asian elephants to Arctic foxes, Malayan sun bears, Amur leopards, and the endangered West Indian manatees. The fun doesn't stop with the animal touring, however. The Columbus Zoo also has a collection of other attractions within its borders such as the Zoombezi Bay, a full-size waterpark with 17 major slides and attractions. The dry counterpart to Zoombezi Bay is Jungle Jack's Landing which features 16 rides including the historic Sea Dragon roller coaster. If you're still not done having fun, visit the Mangels-Illions Carousel before you leave, a historic ride built in 1914 that belonged to a number of other zoos before being acquired by Columbus Zoo. This beautiful construction is complete with a Wurlitzer 153 band organ, two chariots and 52 stunning hand-carved and painted horses, making it a wonderful thing to experience first hand. Of course, you know a list of the best zoos in the country is going to include the San Diego Zoo. Continuously acquiring awards and accolades for their exhibits, research, and conservation programs, the San Diego Zoo is undeniably a front-runner among zoological parks in the entire world. Always very impressive, the San Diego Zoo has produced more successful breeding programs among its animals than most other zoos combined, and was one of the only zoos to have a surviving giant panda cub born through artificial insemination. It happens to be also one of only four zoos in the nation to host giant pandas from China. This stunning 100-acre zoo in Balboa Park is part botanical garden, part zoo, part amusement attraction. The San Diego Zoo is home to over 3,700 animals which you can tour by bus if your feet get too tired, and you can also hop on board the Skyfari, a gondola ski lift that takes you up and up above the exhibits. Over the ten themed exhibit areas, you can see favorites and new friends, including Tasmanian devils and kookaburras, both African and Asian elephants, mountain lions and African lions, and of course the giant pandas. If you can't get enough of the phenomenal animals, you can head just outside of the city to the Safari Park, a free-range designed animal park where the animals roam safely in plains designed to resemble their native Africa. 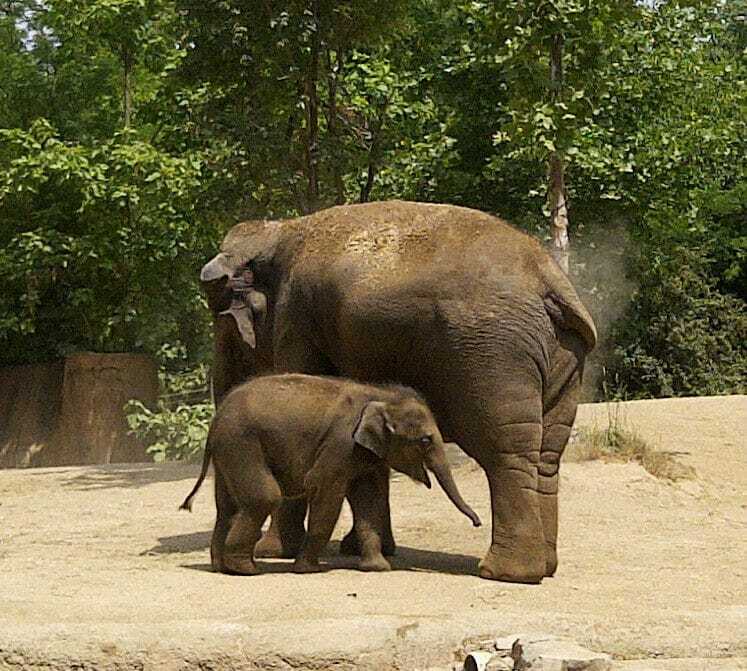 The Dallas Zoo is the largest zoological park in the state of Texas at 106 acres and though it was founded over a hundred years ago in 1888, the park operations and design certainly didn't stay in the past. Fans of the Dallas Zoo voted this beauty into the top ten because of its absolutely fabulous and innovative exhibit viewing experiences. To explore the Wilds of Africa exhibit, patrons board the Monorail Safari and ride in luxury through the heights and depths of the savanna, viewing the animals below as you move along through six exhibit areas. This was the first in the world to incorporate every major African habitat and is wildly popular among visitors. Among the other exhibits, you'll find the Endangered Tiger Habitat, interactive Children's Zoo featuring a creek that kids are encouraged to splash around in, and the Koala Walkabout (Dallas Zoo is only one of ten nationwide to exhibit koalas). Explore the Chimpanzee Forest and Gorilla Research Center where the apes roam in a habitat closely resembling their native forests. Another exciting point at the Dallas Zoo is the animatronic dinosaurs! Record-breaking and boundary-pushing, in 2015 the Dallas Zoo opened with 20 robotic dinosaurs to highlight their Giants of the Jurassic exhibit.